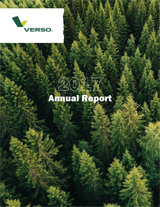 MIAMISBURG, Ohio, Nov. 16, 2017 /PRNewswire/ -- Verso Corporation (NYSE: VRS), a leading producer of flexible packaging, technical, and label and converting papers, today added Natural Kraft (NK) oil and grease resistant (OGR) paper options to its GlazeArmor™ family of lightweight uncoated machine-glazed papers. The GlazeArmor™ product family now features machine-glazed bleached and natural kraft virgin fiber papers that are designed for demanding OGR foodservice and microwave popcorn bag applications. 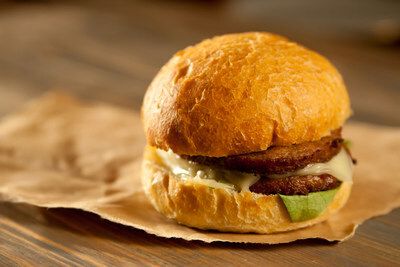 "Foodservice packaging converters and end users are seeking natural kraft OGR paper options that offer the right combination of quality, performance and run-to-run consistency," said Mike Weinhold, Verso President of Graphic Papers. "Our GlazeArmor™ family of OGR papers excels in these critical areas, and we will deliver these solutions with the same level of highly personalized customer service, experienced technical resources, and overall attention to detail that customers have come to expect from Verso." GlazeArmor™ natural kraft options are an exciting addition to the broader portfolio of Verso's machine-glazed laminating and converting papers, which are relied upon by flexible packaging converters worldwide. Featuring OGR levels ranging from Kit 5 to as high as Kit 12, GlazeArmor™ NK OGR and GlazeArmor™ NK Micro are Perfluorooctanoic acid (PFOA)-free and are designed to work well in low to high oil and grease end uses. These OGR papers offer excellent runnability and converting performance, both key performance requirements for end-use applications such as sandwich and deli wraps, foodservice liners, microwave popcorn bags and laminated food pouches. "The No. 5 paper machine at Verso's Androscoggin Mill in Jay, Maine, has a long-standing reputation for producing oil and grease resistant papers with outstanding quality and consistent performance," said Ed Buehler, Verso Vice President and General Manager of Specialty Papers. "Our new GlazeArmor™ NK builds on this tradition, offering new options for demanding paper packaging applications." GlazeArmor™ NK OGR is offered in basis weights ranging from 18 lb. to 40 lb. (3000ft2) and each weight is optimized for specific end uses. GlazeArmor™ NK Micro is offered in basis weights ranging from 20.5 lb. to 23 lb. (3000ft2) for inner and outer plies of popcorn bags. For more information on GlazeArmor™ or other products in Verso's broad specialty papers offering, email specialtypapers@versoco.com or visit versoco.com/specialtypapers.